Are you ready for a new season of rugby league? This years Super League teams will brewing up a great season, this season will be as competitive as ever, with great signings for all 14 teams. how will champions St. Helens do? St. Helens won the Top of League trophy and the biggest prize in the Grand Final. Castleford are looking to invest in a new stadium, because the arch rivals Wakefield Wildcats are looking to build a new stadium in Cas. Castleford are looking to be having a new Satdium built, the Castleford All Seater. As a Castleford fan, I would predict Cas finishing in the Semi Final, where they will go out in that semi final. Castleford have released a lot of players, but brought less in but they are looking for a solid season at the Castleford ground. The Catalans have been busy but have they decided if they are going to move to England? Rather than on the outskirts of France and Spain? The Catalans play at home in France and teams from England travel to France to play the Dragons. It would be much easier if they were a UK based Rugby League side? Could a new bulky Giants squad grab redemption after they went out of the Super League road to the final in the Semi Final vs. The St. Helens? Bringing well trained and massive, well built Castleford Tigers players, how will they fare this season? Hull FC didn't take on board the success of cross city rivals Hull KR in the past few seasons, this season FC are looking to be the better Hull side and take Super League superiority by finishing in the top 6! They are looking to finish above FC once again, The players in the squad have been on a international training camp in New Zealand. The players that have been signed are training and more are still to come, from other clubs and the academy. The Leeds Rhinos are pumped to restore theirselves in the Super Leahue after a shocking 2014. Leeds are playing at the refurbished, turfed Headingley for 2015 and teams will be looking to enjoy playing on the pitch. Leeds won games last season but not enough to get to the grand final like in 2013. Will 2015 be the year of the Rhino? Salford had a good 2014 season but players where flying in and out of the side due to sales, buying and injuries. Old Castleford prop Rangi Chase is also looking for his best season year in 2015. Go into 2015 as defending champions are the Saints going to take fire in the opening weeks to prove they are the best of the lot. With a England team vs. Australian team cup final match coming up, will it affect their season game wise? The Wakefield ground is going to be refurbished with turf and with a lot of Castleford players they will go for a decent run in the 2015 calendar year. As they finished 11th last season, are they looking for a grand final or even quarter final? Warrington are the side that impress with semi-professional coaches and players who have been taught to be at the top of their game. They made a semi-final place last year by beating the Tigers in the Quarter finals, so this season will the Wolves of the south go further up the rankings this season? Near relegated Widnes have had a good pre-season and made the semi finals of the challenge cup where they went out to Castleford. will their run in the cup and the overall season be the best ever? A strong side like Wigan have never failed to impress but last season they were not the best with shocking losses to Casleford, the Catalans, Hull KR and Salford Red Devils. will they go further in the challenge cup? Well losing to the Tigers in the round of sixteen was hard fought. However in the league itself they weren't the best they could be with the top class players they have got. This season, a good game will be a dream come true for Super League fans as the new season starts tonight. 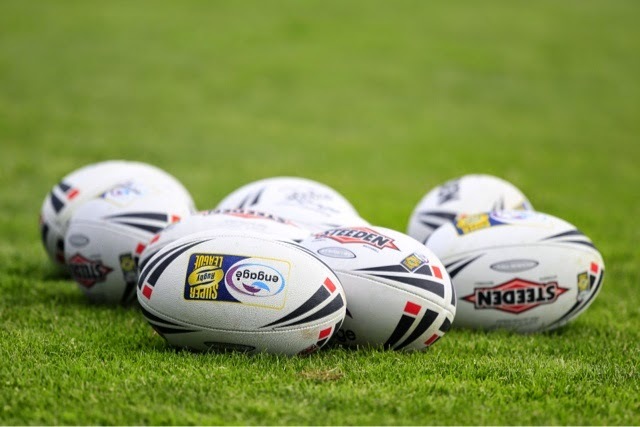 Previewing each team for the 2015 Rugby Super League ahead of Thursday's kickoff.